I purchased it for replacement due to breakdown. I think the size is reasonable and pressure display is easy to see and easy to use. It was saved because we could buy cheaply for drip-proof type for outdoor use. This review is about item#9491011. 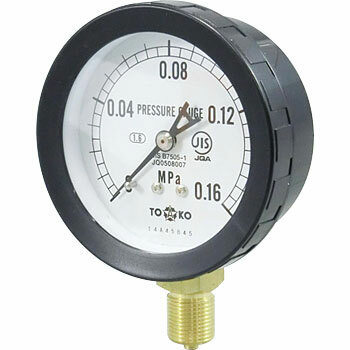 There are many types of pressures and the price is reasonable. I will use it again. This review is about item#9490984. The price is also cheap, the face is also easy to see and accurate measurement. This review is about item#9490941. With an equivalent item in 1 month, the needle was disengaged. Because pulsation is intense, I think that it can not be helped. The thing is simple drip-proof, I think that this price is cheap. However, I think that it is better to tighten the attachment screws of the dial and the cover. This review is about item#9491063. There was no problem because it is equivalent to the one used before. It is convenient as various items can be selected and arrive again soon. This review is about item#9490975. This review is about item#9490957. I used Emmon's air gauge for about 15 years ago, but this time I decided to make it own because I was doubtful about the accuracy and the meter size was small and my presbyopic subject was hard to see. Accurately it was a difference of -10 KPa, but the display part was large, making it easier to see and ease handling. This review is about item#09490975. Size and nice, it's very easy to use. I am satisfied. The price is cheap and easy to see. It is the best in COSPA. This review is about item#09490993. This review is about item#09491011.